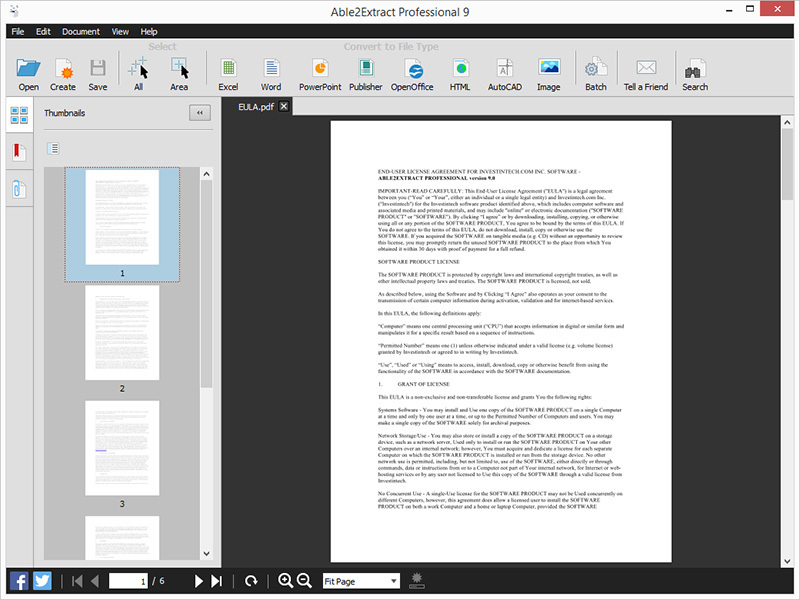 A2E has its own proprietary PDF viewer. It allows users to select exactly what they want to convert for precise conversions. Its tabbed viewing window, zooming controls and navigation pane provide a user-friendly way to interact with complex and lengthy PDF content through thumbnails, that contain bookmarks or that contain attachments. Our custom Excel conversion option lets users graphically designate how they want their PDF data converted into Excel. Able2Extract comes with a PDF to Excel custom conversion interface that lets users manually adjust rows and columns. The interface also includes a preview panel so users can review the conversion results before the final output, ensuring perfect conversions into formatted Excel spreadsheets. A2E allows users to better utilize data in certain formats such as financial information and database reports. Users can select and convert financial tables and other tabular data directly into Excel rather than inputting the data manually. A2E is a standalone Windows application and does not require Adobe Acrobat. Able2Extract is the first full featured desktop converter available on Windows, Mac OS X and Linux platforms. Licensing: the full license is available for $99.95, and 34.95 for a 30-day subscription license. Secure PDF creation and PDF page editing capabilities. Minor improvements to custom PDF to Excel conversion panel. Overall enhancements made to PDF conversion, rendering and viewing technology. Automatically merge multiple Microsoft Word documents (doc files), PDF, RTF and plain text files such as CSV or html files together into one file. Also merge many Excel xls workbooks and worksheets into a single worksheet.